We don’t follow a paleo diet but we do enjoy sweets and I try to avoid gluten. These lemon bars seemed like a good compromise, and they turned out really well! I was surprised at how well they set up in the oven, and how tasty the crust was. The recipe also calls for 11 (eleven!?! *) eggs, so if you need another rationalizing point before you make a pan, they’re high-protein. A bit of honey replaces the traditional white sugar in the filling and crust, and coconut flour, almond meal, and coconut oil replace the flour. DISCLAIMER: eat and store this dessert at room temperature. I refrigerated a single portion to bring with me to work today, and the texture was mushy. Eat. And store. At room temp. That is all. Happy baking, and let me know what you think! 1 tbsp honey + 1/2 cup honey– try raw honey. In addition to the health benefits raw honey provides, it’s easy to find; Archer Farms has a wildflower version that’s easy to pour and available at Target, and Whole Foods offers at least 3 kinds. 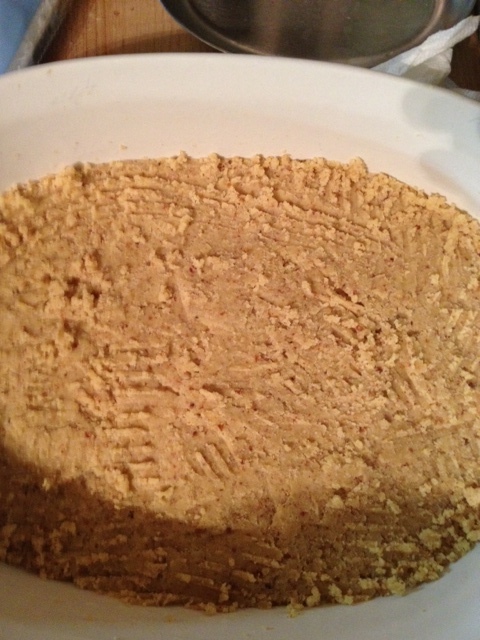 This is a mix and dump recipe- first, the crust ingredients, then the filling. So simple. 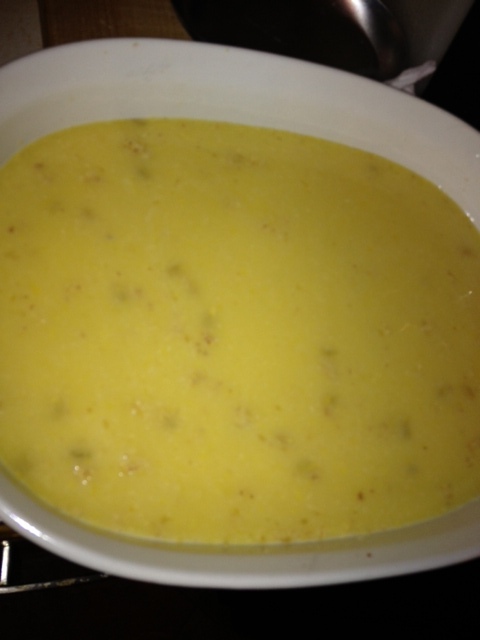 Preheat your oven to 350 and grease an 11×7 inch cake or baking pan with coconut oil. We used a slightly smaller Corningware dish and the recipe turned out just fine. Then toss into the oven and bake for 30-35 minutes until a toothpick inserted in the center of the bars comes out clean, and the topping is firm and fully cooked. 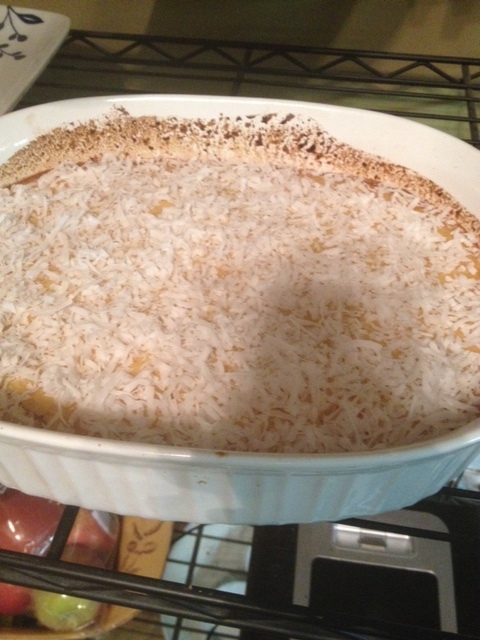 Top with the shredded coconut, let cool, and serve, relatively guilt-free! all done, cooling and topped with coconut! 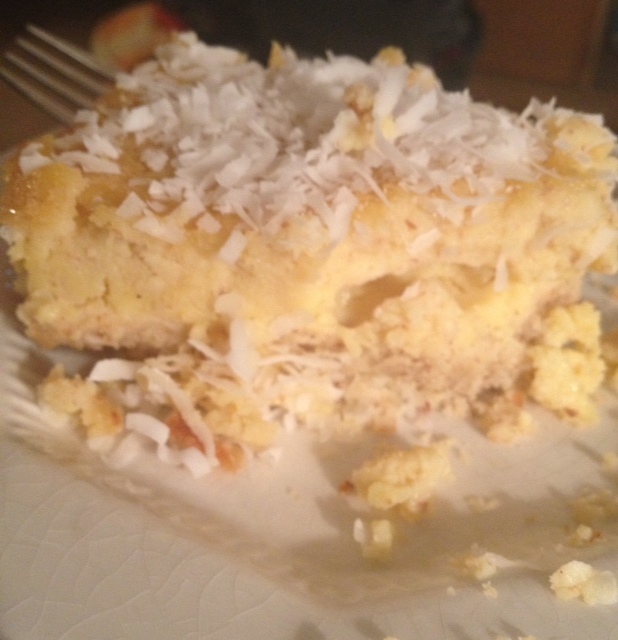 This entry was posted in Baking, Classics, Dessert, Easy, Eggs, Gluten free, Healthy Spin, Vegetarian and tagged gluten free, gluten free dessert, healthy lemon bars, high protein dessert, lemon bars. Bookmark the permalink.